Dual clutch removed → Chapter. Clutch engagement mechanism removed → Chapter. Risk of damage to clutch and other components! Renew dual clutch if it is oily. There are 2 oil seals in gearbox at clutch end. 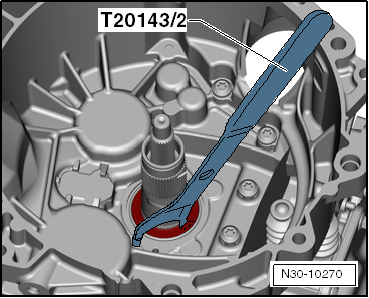 Both oil seals can be renewed without dismantling the gearbox. If only the oil seals are being renewed, it is not necessary to adjust the clutch engagement mechanism. 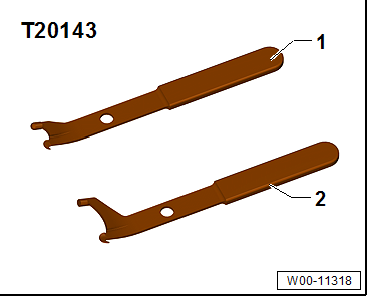 – Lever out outer oil seal. The clutch can be damaged. Only drive in oil seal until it is flush, in order to avoid closing off oil drilling located behind it. Otherwise, bearing can no longer be supplied with enough oil. 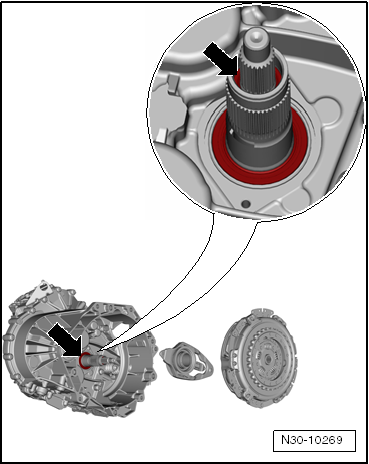 – Drive in new oil seal with a plastic hammer so it is flush with clutch housing, as shown in illustration. 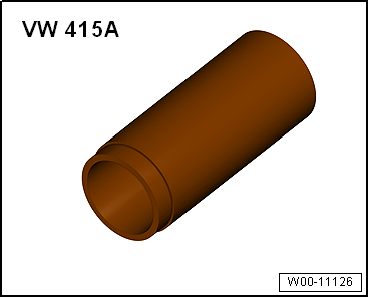 Shoulder of pipe section -VW 415 A- points upwards -arrow-. 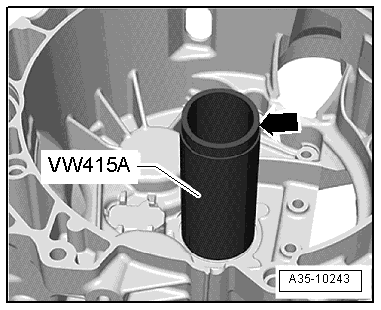 – Install clutch engagement mechanism → Chapter. – Install dual clutch → Chapter.